Antonio Lafrery published this print as one in a set of 30 images. All the prints show examples of elements of ancient Roman architecture. Lafrery was a very successful Italian printer and print dealer. In 1573, he was the first person anywhere in Europe to have the idea of producing a catalogue of the prints he had for sale. 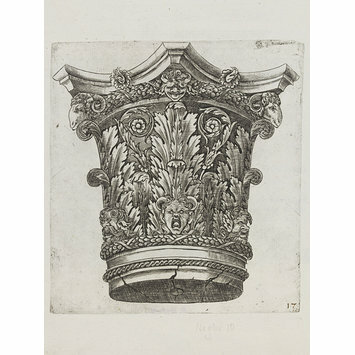 His catalogue gives a description of his sets of architectural prints. It reads, 'Books of cornices, capitals and bases after the antique ruins that you can daily discover in Rome'. 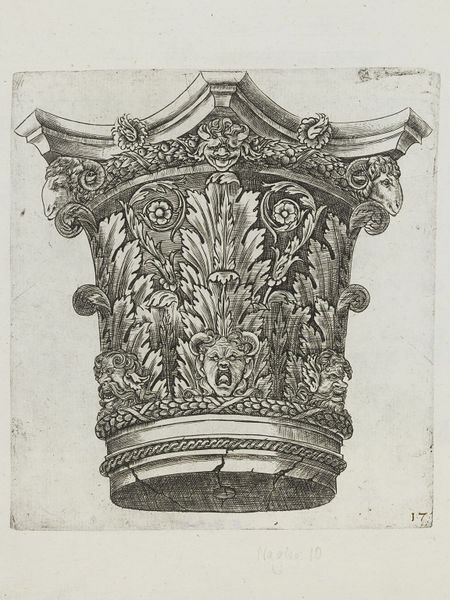 Miller, E., 16th-century Italian ornament prints in the Victoria and Albert Museum, London, 1999, p. 184 (cat. 50a).